How do students register for Intergroup Dialogue courses – SOC 230 WGS 230 & CFE 200? The first step is to fill out an Intergroup Dialogue Placement Form online; it takes less than 10 minutes to complete. The online form is available each semester through the end of the course registration period. You can anticipate hearing back from the IGD Program Coordinator, within 2 days. At that point, after your interest/form has been reviewed, you will receive an email with steps for registering for Spring 2019. This will include receiving the necessary permission to register directly via MySlice. We ask that you register promptly, within 2 days, so that we can follow up with any additional students on course waitlist. Do I have to wait until Spring 2019 registration opens to fill out the interest form? You can submit an online placement form up to two weeks before registration opens and you are able to submit/check availability of your course choices on the form. Please keep in mind that the earlier you submit, the better your chances of obtaining permission to register for your top ranked dialogue section(s). Why is the dialogue topic I’m interested in not listed as a choice on the interest form for the Spring 2019 semester? The main topics or focus of our dialogue sections shifts each semester; thus, certain dialogue topics are not offered every term. The topics/sections listed on the placement form are the ones that will be offered the semester for which you are registering. Am I guaranteed placement in my first choice for a dialogue topic or section? We do our very best to place students in one of their top two course/section preferences! However, this can’t be guaranteed given it is dependent on day availability, number of placement requests received, and prompt email communication. Intergroup Dialogue is a 3‐credit, letter‐graded course. The final course grade is based on attendance and participation/engagement with dialogue principles and practices, weekly writing (journal) assignments and readings, a group action project, and a final paper. What kind of specific skills will I learn through being in an Intergroup Dialogue course? Intergroup Dialogue is a research-based practice developed in higher education. Studies have demonstrated that dialogue students complete the course with enhanced communication skills including perspective taking and critical listening; a more complex awareness of inequality in society; a stronger understanding of self, social identities and intersectionality; collaboration across difference, and public engagement and other forms of action. If I have more questions about Intergroup Dialogue courses or the enrollment process—who should I contact? 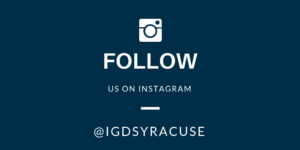 Feel free to e-mail program coordinator Robin Higgins, rjhiggin@syr.edu, call 315.443.9585, or contact a member of our IGD team.